We’ve all experienced it. You had your favorite knife for years—say a Kershaw Groove. You used the hell out of it. You took it to your wedding. You carried it every day for the last 10 years. Maybe you even used it to cut your first born son’s umbilical cord. Then it finally gives way and simply stops working. But when you go to Knife Depot to buy another, you find out it’s no longer in production. You drop to your knees, raise your fists to the sky, and curse the gods for such cruelty. Maybe it doesn’t happen quite like that, but discontinued knives are a sad reality for knife fans. So why do some of our favorite knives get the boot? Several reasons abound, including some that may surprise you. 1) It no longer makes money. We’ll start with the most obvious reason why a knife might be discontinued. It’s not a moneymaker. This is actually a lot more complicated than it sounds, so we’ll break it up into different facets. The knife sold poorly from the start. Companies tend to release a slew of knives each year. Some hit the mark and others miss it by a mile. There will usually be people who buy every knife, but that’s not always enough to sustain the continued production of a product line. 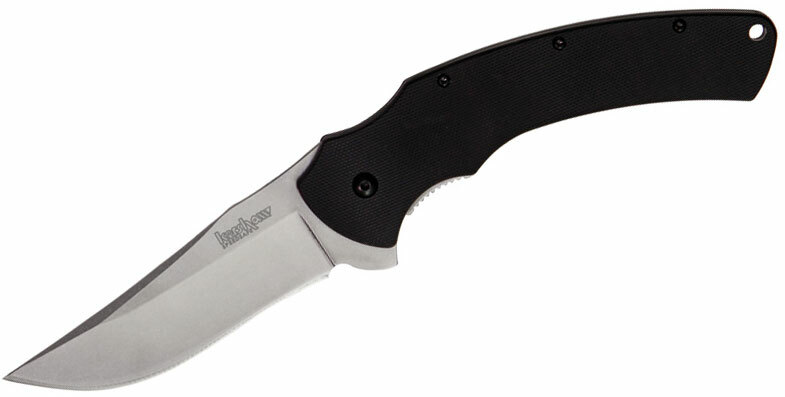 The Kershaw Tremor is one of those knives that came and went in only a few years, most likely due to poor sales. Not long into its run, the price of the Tremor dropped significantly. It went away quietly. The knife sees fewer and fewer new sales. Extremely popular knives are also discontinued, thanks to the idea of a product’s life cycle. Say a new knife comes out that’s exceptionally popular—the Starbird. The Starbird has huge, record sales when it first comes out and it’s the talk of the town. Sales continue to rise and rise. Eventually, the number of sales will reach a peak. As everyone who wants the Starbird has already bought it (market saturation), sales will begin declining. I’m sure some econ experts have a better explanation with proper terms, but that’s the general gist of it. It costs money to maintain those old knives, which is why the Starbird—despite the fact that everyone has it—may be discontinued someday. Out with the old, in with the new. As I stated in the previous section, old knives cost money to maintain, which takes valuable marketing dollars, attention, factory space, and sales away from newer models. It’s not financially feasible to continue producing every knife that is ever introduced, even if they all make modest sales. It makes sense to give the older, less viable knives the boot in favor of the young gun (or young knife, if you will) because it may be a much bigger hit. The most successful knives will have the product life cycle graph over decades, but the least popular ones could go through the cycle within a few months. Therefore, you’ll get more in the long run continually introducing new knives rather than keeping the same old ones. You’ll also get updates on knives. 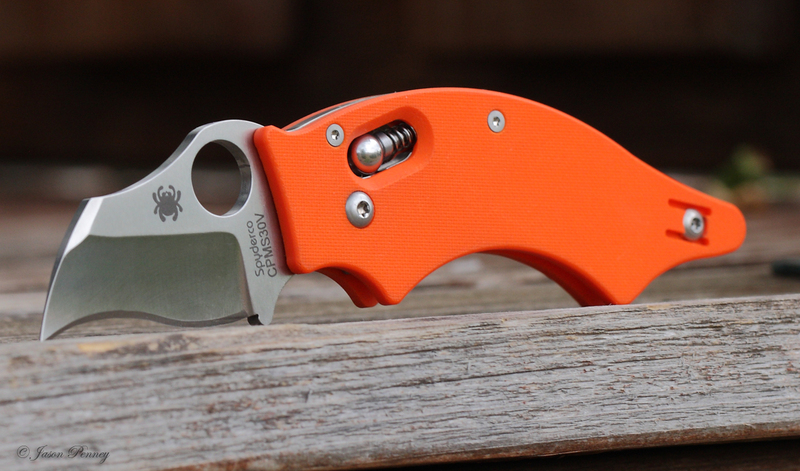 The CRKT Fulcrum was discontinued but saw a new version—the CRKT Fulcrum 2—a few years later. These small updates help restart a product’s life cycle, which is why you see the Spyderco Endura 4 instead of the same old Spyderco Endura. Brands continue to evolve and come out with new knives in hopes of finding the next big thing. That’s not a bad strategy. 3) Materials are no longer available. Not all discontinuations are done voluntarily. Some knives have material availability issues. For example, the Official Price Guide to Collector Knives (Fifteenth Edition) stated that certain Case models with genuine stag from India’s Sambar and Chital deer were discontinued due to availability issues. Those knives were offered on and off as material became available. 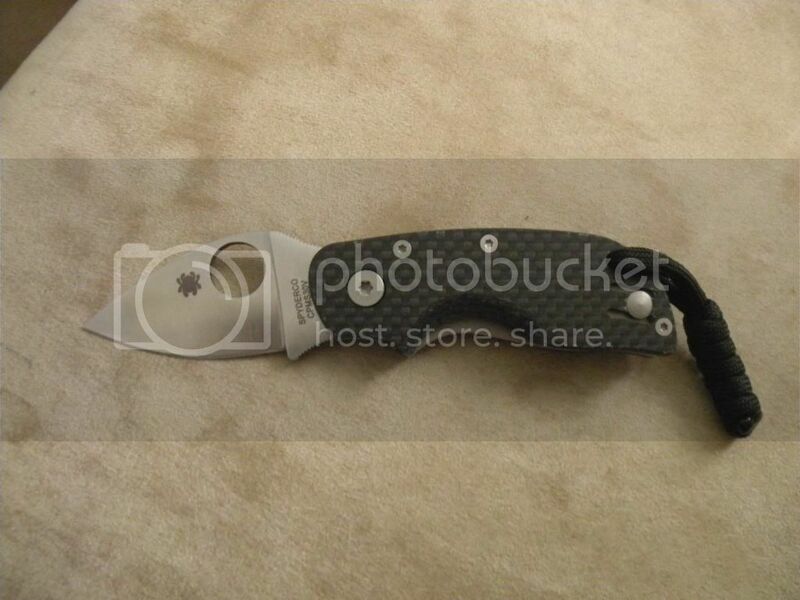 Another example is the Spyderco Titanium ATR. This was a premium knife made of top-notch materials. Apparently, the materials to make the knife were too hard to come by, which is why it was ultimately discontinued. A stainless steel version came out but was not as successful. Yet another G-10 version will likely come out soon. 4) Brands no longer have the license. There’s a large, complicated world of licensing in the knife industry that I won’t go into too much detail now (partly for fear of getting it completely wrong). However, here is a quick breakdown. Most brands have in-house designers. The designs they create for the brand belong to them for the most part. 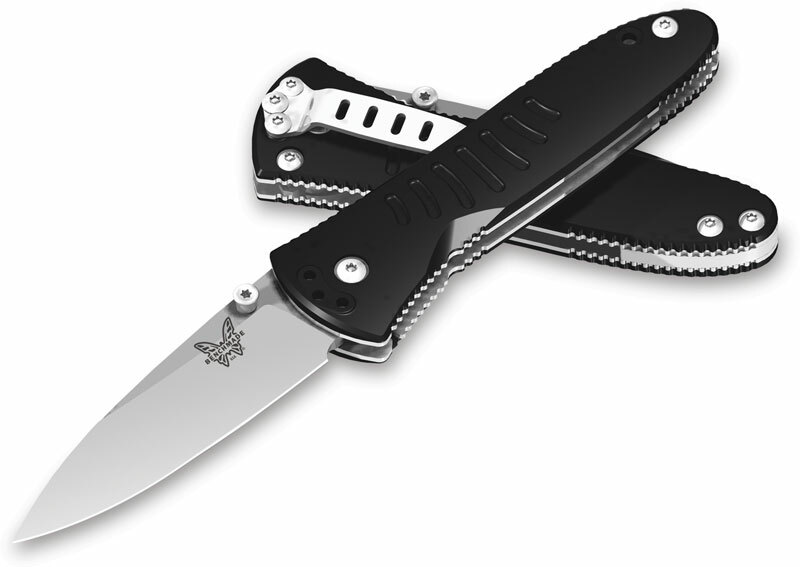 For example, Tommie Lucas works as an in-house designer for KAI USA (Kershaw, Zero Tolerance, and Shun) and created the popular Kershaw Skyline. KAI does not license that knife because it was made for them. Occasionally brands will no longer have the license for a specific knife or mechanism, whether it’s because it became too expensive or the agreement reached its end. If the knife was under that agreement or featured a mechanism that’s no longer under a license, the knife is discontinued. 5) Issues with the factory making the knife. Pretty much every brand contracts with a factory to make a few knives. Even Kershaw, which has a state-of-the-art manufacturing facility in Tualatin, Oregon, still outsources some models to facilities in China. So what does this have to do with a discontinued knife? Plenty. Let’s break it up into more manageable subreasons. A factory isn’t up to par with quality control. Not all factories are created equal. Some are undoubtedly better than others at putting out a well-made knife. It doesn’t matter how great a design a knife boasts; if the factory can’t make the pieces fit together perfectly, it’s going to fail. Two Spyderco models suffered from this type of failure. The Cat and Chicago were being made in Taiwan, but the maker had serious quality control issues and simply couldn’t produce an acceptable knife at the agreed upon cost. Spyderco ultimately had to discontinue the new models in 2010, though they’ve since made a comeback after finding a better factory. Not all models are that lucky though. If a knife simply isn’t up to par because of external forces from a factory, it will get the ax. This one is probably a little more extreme, but a smaller outsourcing factory may go out of business. If a brand can’t find a suitable replacement factory, the model will kick the bucket. 6) Discontinued knives increase in value over time. Unless you’re talking about limited edition runs (I’m looking at you Zero Tolerance! ), knives are rarely discontinued in order to increase its scarcity value. Why? That value doesn’t directly find its way back to the original manufacturer. Knives are sold for exorbitant prices through the secondary markets, but the brand doesn’t get a cut. Knives are discontinued for the reasons above. However, a brand can make money off a discontinued knife. It’s what Spyderco calls sprint runs. 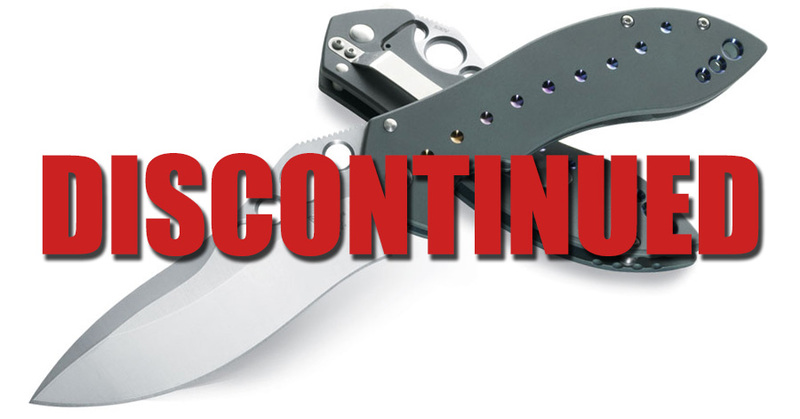 Discontinued knives that hold a legendary status or didn’t sell well at the time will come back for limited runs (and higher prices). 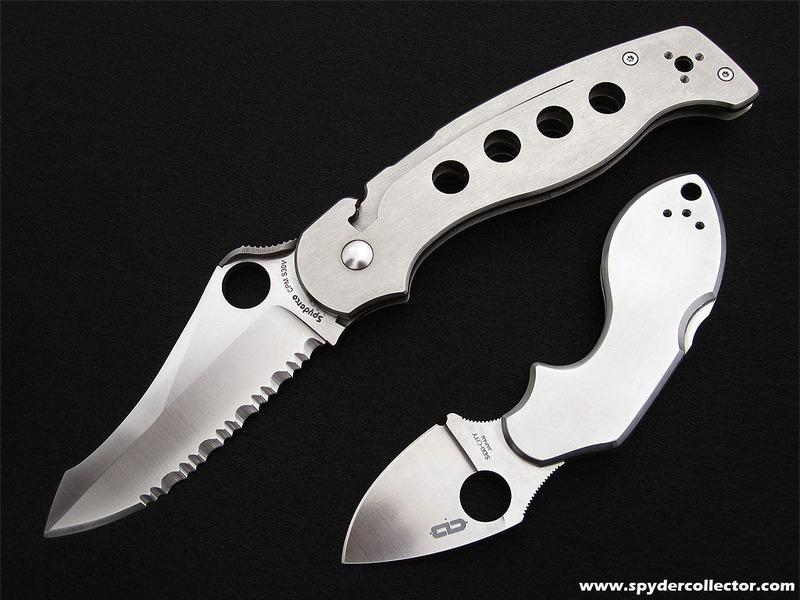 For example, the Spyderco Dodo was a bizarre knife with a niche following. It likely didn’t have great sales, so it was discontinued. Every now and again, you’ll see it come back for sprint runs. Those typically sell out in minutes. So ? How Does someone find out if they have a discontinued knife that may be at least worth what they paid for it ? I own a still in the satin pouch/Box BENCHMADE ONSLAUGHT 741 SBK LUM AXS. ( FULL SIZE NOT MINI ). . I can’t seem to find a going price for it anywhere . . Thank You. How was any of that relevant to his question?